With good home care habits and regular visits to our Edmond, OK dental office, you’ll be able to prevent most cavities. Note that we’ve said “most.” Unfortunately, it’s all but impossible to prevent all cavities. According to the CDC, 90 percent of adults in the U.S. will have a cavity at some point in their lives. But cavities don’t have to mean extensive dental work or a permanently marred smile. With advanced techniques and materials, we can repair your cavity and prevent further damage. Additionally, we can take advantage of newer filling materials that can be blended to the exact same shade as your teeth, which means that once these fillings are placed, nobody will ever know the difference! Why Did I Get a Cavity? It does seem unfair that despite your careful brushing and dedication to your hygiene routine you still got a cavity. Don’t beat yourself up, though. Did you get a cavity because you ate too much sugar? Maybe, but probably not. Most people don’t realize that cavities, or dental caries, are actually a chronic infection caused by bacteria in your mouth. These bacteria can actually be transferred from person to person, which is why some families are more prone to cavities than others. So what do these bacteria have to do with cavities? The bacteria in your mouth thrive on sugar. When you eat a lot of sugar (and remember that starchy foods like pasta, rice, and bread convert to sugar in your mouth when you chew them), it’s a field day for bacteria. The bacteria multiply and excrete acid. These bacteria like to live in plaque, the sticky substance that coats your teeth that you brush away with your toothbrush. It’s almost impossible to completely remove all traces of plaque with a toothbrush and floss, which is why regular cleanings are still important. If the bacteria remain in close contact with your teeth, the acid begins to eat away at your enamel, causing a small hole. This hole is a cavity. If it’s not treated, the erosion continues, creating large areas of decay that significantly damage and weaken your tooth. To treat a cavity, we must remove the decayed portion of the tooth, sterilize the area, and then fill the hole with a suitable material to restore stability to the tooth. At our office, we prefer to use tooth-colored composite for most of our fillings. This composite can be blended to perfectly match the shade of your tooth so that once it’s placed, you won’t even be able to tell the difference. Composite is strong, durable, and long-lasting and won’t discolor your tooth or mar your smile in the way that amalgam can. In some cases, amalgam may still be the right choice, and if we believe that this is true for you, we’ll discuss it with you before we place the filling. Are you overdue for a cleaning and an examination? 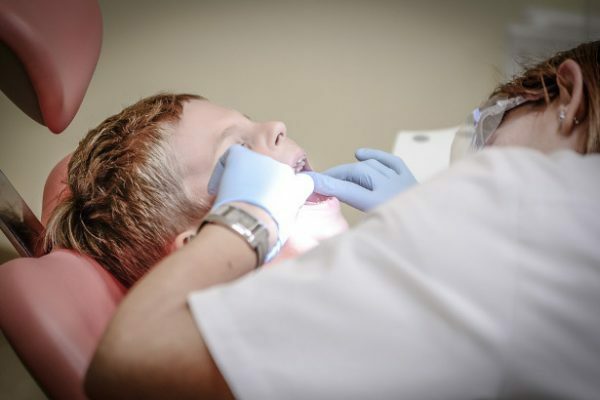 Cleanings help prevent cavities, and regular exams help us spot cavities when they are still in their earliest stages. Give our office a call to schedule your appointment with Dr. Gray, and we’ll help you get caught up!